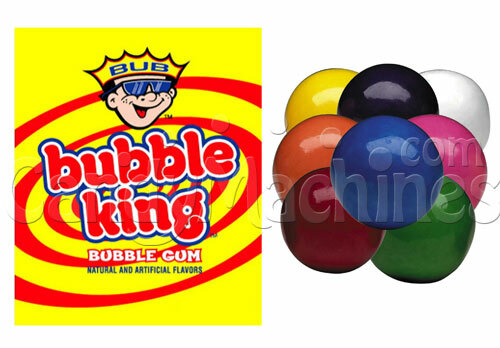 These multi-colored gumballs are Bubble King Bubble Gum brand. They come in 8 different colors and 7 different flavors. All of these come plain without the printed logo. 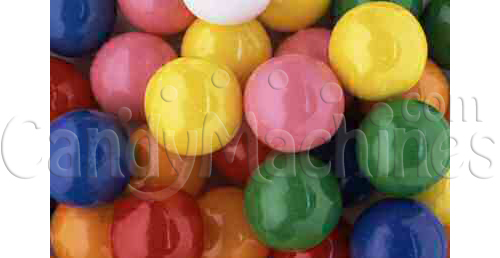 Because of their 19/32" diameter size they've become the most popular size for use in novelty gum ball banks, handy candy frames, and other dispensers that do not dispense 1" gumballs. They are also the perfect size to vend in machines that have adjustable candy wheels. With 8 vibrant colors and 7 fun flavors there's always going to be a great selection. The flavors included are Fruit (White), Banana (Yellow), Orange (Orange), Lime (Green), Cherry (Pink and Red), Grape (Purple), and Blueberry (Blue). 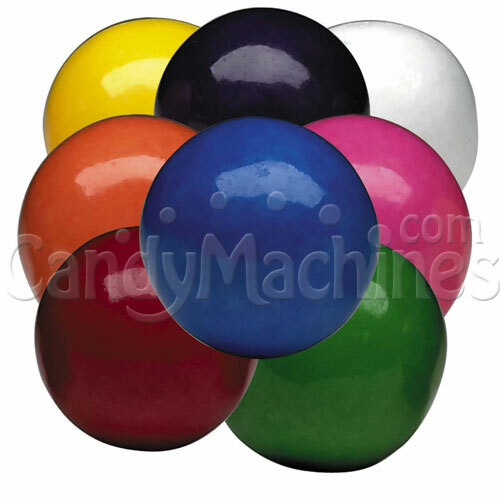 Be sure to see our full line of gumball machines if you're looking for a vending machine to dispense this smaller gum. Made by Oak Leaf, these bulk vending gumballs are OU Kosher Certified. This gum typically vends for 25 cents in commercial vending machines that have a candy dispensing wheel. Gum stores best in a cool, dry, low humidity location. Their shelf life can be up to 18 months if not exposed to extreme hot or cold temperatures. 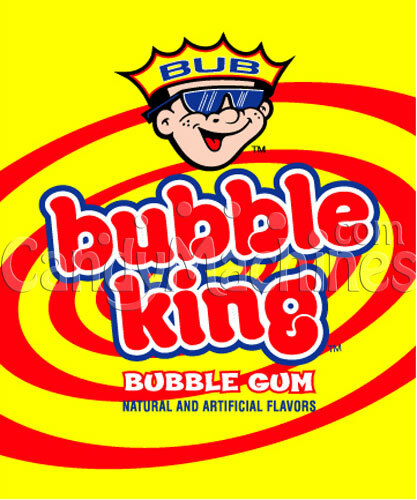 from Canton, MI Bubble King is indeed Kelley Nguyen! 3650 size gum balls by Oak Leaf. Well formed, bright colors, fresh so shells don’t crack. Fairly good distribution of colors but heavy on the red at least twice number of any other color) which meant very few punks. I especially like that these gumballs have not been branded by the manufacturer as in the case of DubbleBubnle. I find it EXTREMELY annoying to have the visual beauty of these sweets marred by unsightly imprint of a logo from a company that insists on forcing their name on your eyes and in your mouth. These gumballs by Oak Leaf are fabulous!